So it's something like 70 degrees outside. So, not really Hoth-like (or really all that Christmas-like), but we can still imagine it's cold. 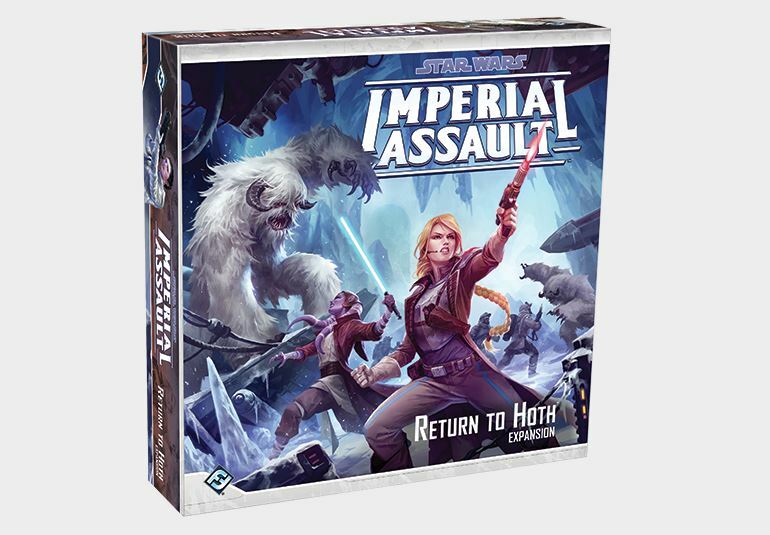 Granted, it doesn't actually have to be cold in order to play the Return to Hoth expansion for Imperial Assault. But any way you feel like playing, the expansion is now available. Well, Fantasy Flight has given us a preview of the villains we will be getting in the upcoming Return to Hoth set for Imperial Assault. (and in retrospect, I'm sad that I didn't say, "Imperial troops have entered the base! Imperial troops have *tsssh*" in that article, but there we are, then) Well, it's no good having a bunch of bad guys running around if there's not some good guys to fight against them. So that's the preview we've got for you today. The Star Wars-related news from Fantasy Flight Games continues along. With each larger box release for Imperial Assault, they have several smaller releases that tie in with it. This piece falls into that category. 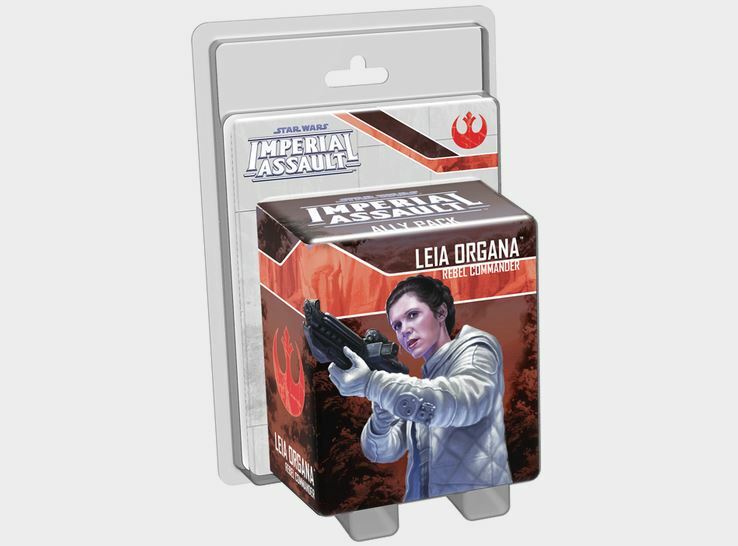 Fantasy Flight has posted up a preview of the contents for the upcoming Leia Organa Ally Pack. "'Hoth.' They should call this place 'Coldth.'" 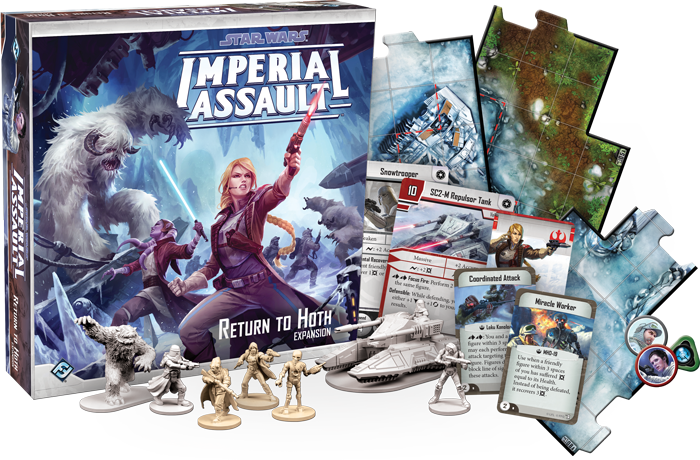 As winter works its way closer (one might even say, "it's coming"), Fantasy Flight gives us a look inside the upcoming Return to Hoth expansion set for Imperial Assault. In this particular preview, we get to the "Imperial" part of things, looking at the cards for Snowtroopers, Wampas, and more. Empire Strikes Back is my favorite of the Star Wars movies. Particularly, the sections on Hoth are my favorite. I absolutely love the Imperial invasion scenes. Pretty awesome stuff. 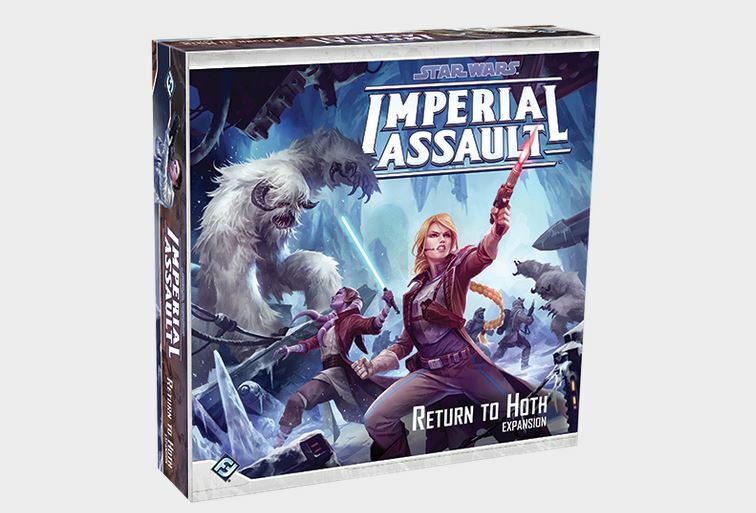 Well, now that Fantasy Flight Games has taken us back to Tattooine with Twin Shadows, they're now headed back to Hoth in the Return to Hoth expansion for Imperial Assault.